Are you looking for Leak Detection Companies? Finding a water leak in your home can be a pretty nasty experience, especially if it’s causing damage as time ticks by. With water leaks there’s no time to lose and upon discovering one you should be straight into the phone book looking through the water leak detection companies, but save yourself some time, when it comes to gas leak detection services ADI are the company you need to call! 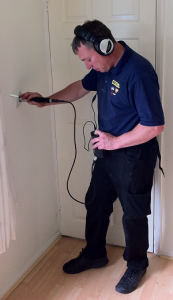 There is no call out charge when we attend your property, so even if you’d just like an idea of how much our central heating leak detection services will cost, you should certainly give us a call on our free phone number. All of our work is fully guaranteed, and you can rest assured all of our prices are competitive and in line or cheaper than other water leak detection companies. Get your leak seen to by ADI, as soon as possible. 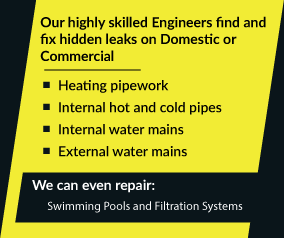 Give our team a call on 08007313843 as a matter of urgency and we’ll do all we can to locate and eradicate your leak!